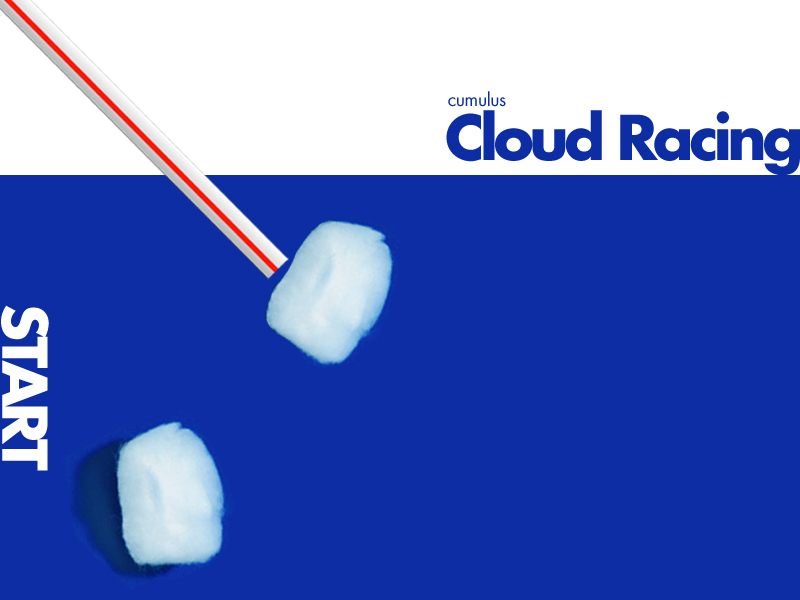 Integrate science and math with cloud racing! Lay a large, long sheet of blue paper down. Kids blow (wind) cotton balls (clouds) across the race track (sky) using straws. Try making other types of cotton ball clouds (cirrus and stratus by pulling the cotton ball). Click here for an example. Have kids predict which cloud they think will go the fastest. If cirrus went up against a cumulus cloud, which one would win?! Next, have each kid predict which cloud will go the farthest: Go out into a large hall way. Blow each type of cotton ball cloud using a straw. Measure the distance each cloud traveled. Which cloud traveled the farthest distance?